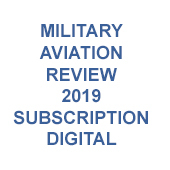 Subscription to the digital edition of Military Aviation Review for the calendar year of 2019. 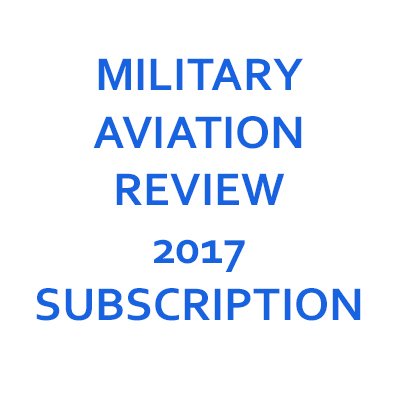 Military Aviation Review is a monthly magazine providing comprehensive coverage of the military aviation scene all over the world. 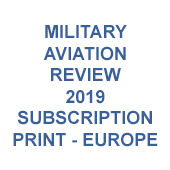 We feature regular monthly movements covering most of the UK as well as a wide variety of European, US and worldwide airfields. 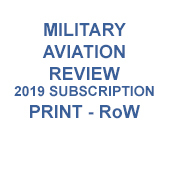 We also carry airshow and military exercise reports, as well as a comprehensive Out of Service/Wrecks and Relics section. After payment you will receive your Login details within 48 hours and instructions on how to access your magazines. 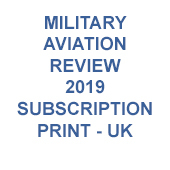 Military Aviation Review subscriptions run from January to December so if you take out a subscription in July you receive access to the January to June magazines as soon as you login and then will be able to access the remainder of the year's magazines as they are published. 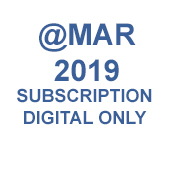 Unfortunately we cannot offer partial year subscriptions for our digital products.